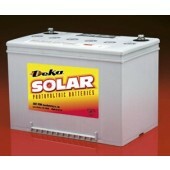 We have a direct relationship with MK Battery, one of the largest manufacturers of sealed batteries in North America. 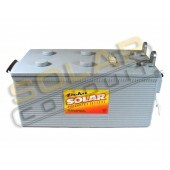 These are high-quality GEL and AGM batteries suitable for solar and other Renewable Energy applications. 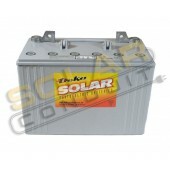 Battery prices have been increasing due to higher lead prices globally, so order your batteries sooner rather than later. 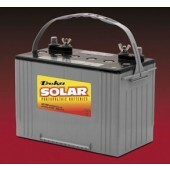 Free shipping via truck may be available if delivery is in a major metropolitan area serviced by a nearby MK Battery warehouse. 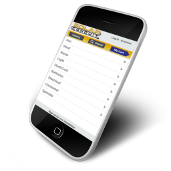 If your total order is over 150 lbs., shipping costs will not automatically be charged with your order and we will contact you to determine if free truck shipping is available in your area. 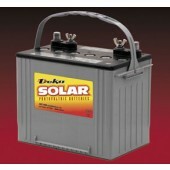 All standalone and battery-backup PV systems require battery storage. 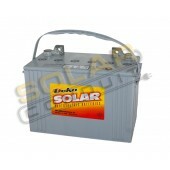 Photovoltaic modules charge the batteries during daylight hours and the batteries supply the power when it is needed, often at night and during cloudy weather. 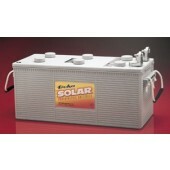 Utility grid-tie systems supply power directly to the utility grid; no battery storage is needed. 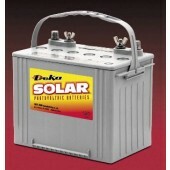 The two most common types of rechargeable batteries in use today are lead-acid and alkaline. 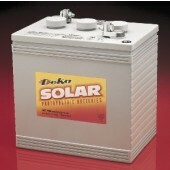 Lead acid batteries have plates made of lead, mixed with other materials, submerged in a sulfuric acid solution. 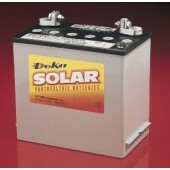 We do not list nickel-cadmium batteries because of their high cost and environmental problems related to disposal. Nickel metal hydride and lithium ion batteries look promising for the future, but at this time their price is much too high for the size needed for all but the smallest of remote lighting systems.